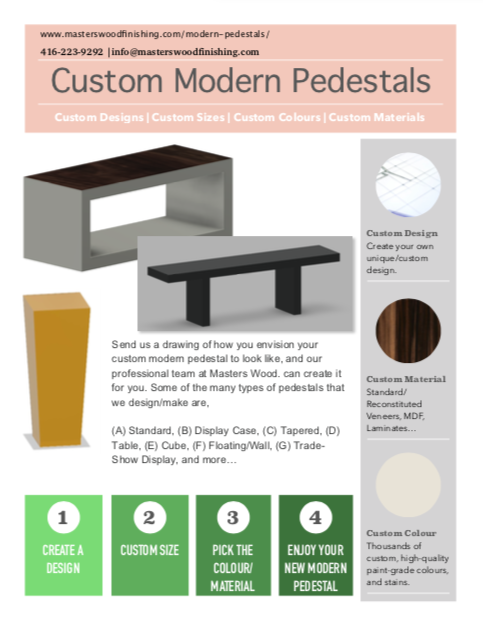 Design your own custom modern pedestal. Send us a drawing of how are visualizing your pedestal to look like and we can create the perfect custom designed pedestal for you. Designers, we would love to work with you! We encourage you to send us drawings of unique pedestals you envision.